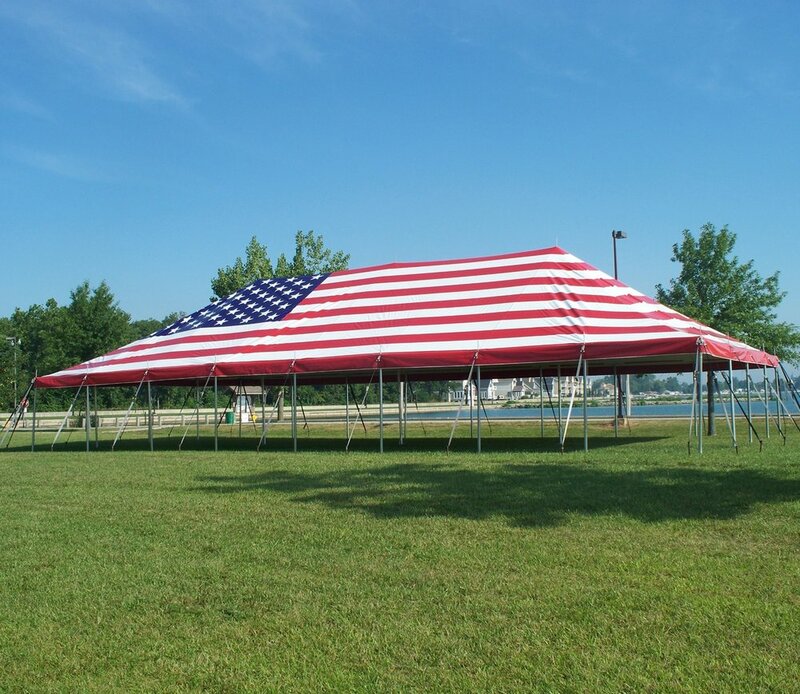 With central poles and scalloped edges, the Classic Series Pole Tent is the classic image related to fairs and outdoor events. Each tent is supported by tension on the guy lines at each leg location, pulling on the center and side poles. Because Classic Series Pole Tents are tensioned to stay aloft, anchoring is key to a safe and secure installation. Once the corner poles and center poles are installed, the rest of the side poles are fitted, and tensioning begins across the tent width and length. This evenly pulls the fabric to ensure that no one part of the tent will sag or be unsupported. You can watch video of Classic Series Pole Tent installations here. 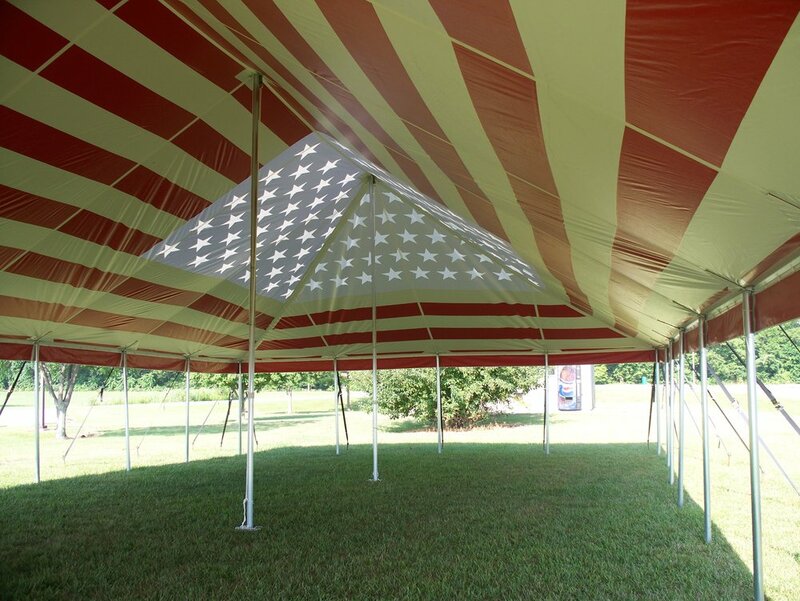 Their ease of installation makes Classic Series Pole Tents some of the most affordable large-scale printed tents. Boldly brand your food service area, brightly advertise your main event venue, or make a colorful addition to the fair grounds with customized printing. Templates for laying out your own artwork on a Classic Series Pole Tent top are located on this page. Every Classic Series Pole Tent is installed using the tent top fabric, poles, stakes, and guy lines – no extra fasteners or hardware required. Rope lines installed along the interior perimeter of the tent allow you to attach sidewalls, lighting, and more. Each leg location is secured with ratchet buckle assemblies which make tightening and loosening the guy lines simple.